Ron Capps has stopped Matt Hagan’s dominance – at least for one race. 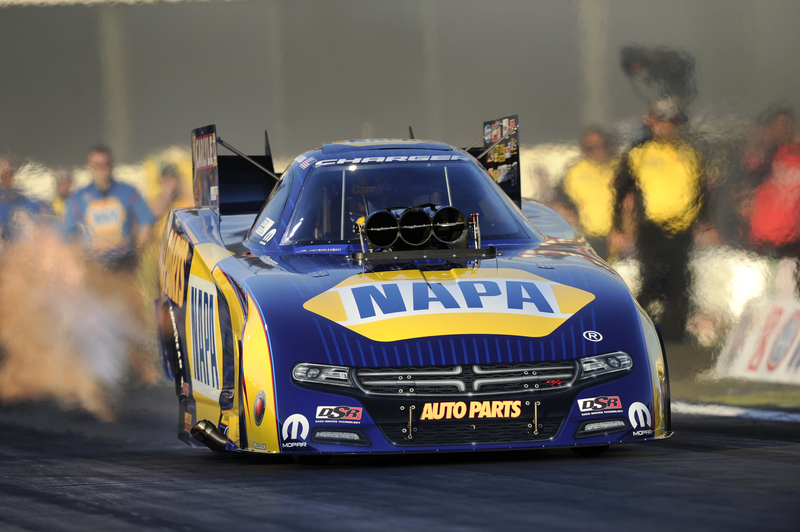 Capps defeated rookie Funny Car driver John Hale in the final round at the Amalie Oil NHRA Gatornationals. Capps is the only other driver to win besides Hagan in Funny Car this season. Hagan won the previous two events, as well as the season-ending Pomona event last year. Capps had an .0112 light compared to Hale’s 0.103 light. Capps would end up picking a 4.115 elapsed time for the time over Hale’s 4.208. This was the first time that Hale made an appearance in the final round through five races in his young career. Hale replaced Jeff Arend in the off-season for Jim Dunn Racing, and they plan on competing on the Rookie of the Year. This is the second time that Capps has made it to the final round. He lost to Pomona 1 to Hagan to begin the season. He’s now has 44 wins in his Funny Car career. Before to this event, Hale had just one round win this season. At Pomona 1, he pulled an upset over Cruz Pedregon, before losing to Hagan in the second round.